Reflections Academy, located outside Thompson Falls, has been the subject of three civil lawsuits since October by families alleging program administrators misrepresented the type of therapy they would provide and failed to protect their daughters from a supervisor who groomed them for inappropriate sexual relationships. One family says a supervisor brought their daughter with him to his home in Utah, where he sexually abused her. A photo of the Mountain Meadows Youth Ranch from inspection reports done by the Montana Department of Labor and Industry. In 2016, the inspectors noted medications were located in an unlocked closet and no evidence of employee background checks were found in personnel files. Scan the lists of owners and administrators at state-licensed residential programs for troubled children in Montana and the same names appear again and again. One of the largest programs, Montana Academy in Marion, lists its founders as John and Rosemary McKinnon, and John and Carol Santa; the staff list of 71 on its website includes Moira McKinnon Linam, and Evelyn and Ryan Santa. Four members of the Frields family dominate the staff of five at the Mountain Meadow Youth Ranch in Trout Creek. Three of the four owners of Clearview Horizon in Heron are Thielbars, including founder Mary Thielbar and “Clearview crusader” Jason Thielbar; Kelly Thielbar is on staff. Michael Morso is a co-owner of Petty Creek Ranch in Alberton; his wife Amanda Morso is an administrator. In fact, eight of the 14 programs examined by the Missoulian that are licensed by Montana’s Private Alternative Adolescent Residential or Outdoor Programs (PAARP) board list owner/administrators and employees with the same last names. An unlicensed religious program in St. Ignatius also is family-dominated. Why does this matter? Because it can create a conflict of interest if one or more members have legal problems or are cited for abuse, as has happened. At the Turning Winds program in Troy, the PAARP licensing application lists as owners six members of the Baisden family — John, John Jr., Carl, Owen, Charmaine and Kara. Owen Baisden said in an interview with the Missoulian earlier this month that information — which is filled out by the program — is incorrect, but declined to detail how. Turning Winds began in Idaho. But in 2005 the Idaho Department of Health and Welfare gave directors a 72-hour notice their license would be suspended after John, John Jr. and Carl Baisden were cited for “injury to a child.” Owen Baisden told the Missoulian — and news accounts at the time bear him out — that those charges were dropped, and the family subsequently filed a wrongful prosecution lawsuit. Turning Winds moved to Montana the following year, although Owen Baisden called that timing “coincidental," saying they'd already bought the Montana property. 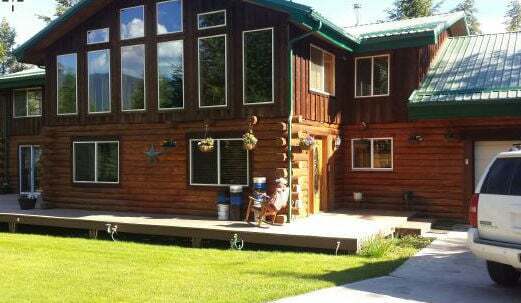 The Building Bridges program in Thompson Falls lists Steve, Jill and Kurt Fairbank as owners on its PAARP application, and its website adds Sarah Fairbank as working in admissions. Building Bridges takes only boys, but Jill Fairbank said in an interview with the Missoulian earlier this month that a years-ago switch from a co-educational program had little to do with her husband, Steve, admitting to two counts of misdemeanor sexual assault involving a 17-year-old girl in the program. Steve Fairbank was accused of photographing the girl in a bikini when they were alone, making suggestive comments and fondling her breasts and buttocks. The state Labor and Industry Department cited that 2000 case in revoking Steve Fairbank’s license as an addiction counselor in 2004. DLI put his licensing status on two years’ probation, with the stipulation that he work only with males. Building Bridges’ 2008 PAARP application lists Steve Fairbank as owner, director and state-licensed addiction counselor. On the application, Fairbank checked “yes” on whether he’d been disciplined by a licensing agency, and whether his license had ever been canceled. But he checked “no” on whether any legal or disciplinary action had been filed against him. The DLI records on his license revocation note that Fairbank entered a deferred agreement when admitting to inappropriately touching the girl; such an agreement means an accused person’s record is cleared if he meets certain conditions. The case involving Steve Fairbank took place before Montana began licensing such programs. The PAARP board granted the program full licensure in 2010, and it remains licensed today. Michael Morso is a co-director of Petty Creek Ranch in Alberton, where his wife Amanda Morso is listed as administrator on its website. Michael Morso and Jason Lavigne, the other co-director, are college friends going back to Morso’s days as an English literature major at the University of Montana. Neither is a licensed counselor. Before opening Petty Creek, Morso worked at Triangle Cross Ranch in Wyoming and was an aerial welder before that. Lavigne was an insurance salesman in Missoula. The Wyoming Supreme Court found in 2015 Triangle Cross Ranch had been operating without proper licensing, despite multiple warnings from the Department of Family Services. Triangle Cross has since obtained licensing and is in good standing, Wyoming DFS confirmed. When he came to Montana a year ago, Morso launched Petty Creek Ranch over the reservations of one member of the state's Private Alternative Adolescent Residential or Outdoor Programs (PAARP) board. He told the board in March 2018 that he hoped to house about 10 kids ages 12 to 18 with “many emotional behavioral problems, conduct disorders, and learning disabilities,” and to provide treatment for substance abuse. But he said he didn't have a licensed addictions counselor on staff, because he'd only moved to Montana two days earlier and was still looking for one, according to minutes of the PAARP meeting. Morso’s argument that he didn’t need to be licensed to help teens using drugs is similar to what he told a Wyoming court when the program he directed there was being sued for providing treatment to delinquent teens without a license. He argued a license wasn't required because they were treating youth who weren’t necessarily addicted yet. Morso's partner, Lavigne, is currently fighting a protection order from his former girlfriend of eight years, who seeks to prohibit him from coming within several hundred feet of her or her two children, ages 15 and 11. The two have been involved in back-and-forth protection orders stemming from their April breakup, but the woman says stalking, threats and physical violence permeated their eight-year relationship. PAARP’s inspection of Petty Creek Ranch took place before Lavigne’s legal tangles with his ex-girlfriend so the board would not have known about Lavigne’s issues unless Petty Creek self-reported. Petty Creek's website lists two licensed clinical social workers and one person with a master's degree in social work, all from the Sunburst Mental Health organization. The PAARP board granted Petty Creek's license with the stipulation the program be inspected within a year. As of Jan. 16, that had not been done. Program managers and staff sometimes move from one program to another, or start a new program after one closes down. In one of the best-publicized examples, World Wide Association of Specialty Programs and Schools facilities relocated some of its students to the WWASP-affiliated Spring Creek Lodge Academy outside Thompson Falls after the Mexican government closed WWASP programs in that country in 2004 following allegations of misconduct, according to a 2013 class-action lawsuit, Turley v. WWASP, filed in Utah. Spring Creek Lodge closed in 2009, five years after 16-year-old Karlye Newman killed herself there. Turley v. WWASP noted Spring Creek's enrollment dropped from 400 to 108, and other WWASP programs' enrollment declined "drastically" after Newman killed herself. Newman's suit and subsequent legal actions named Spring Creek Lodge and the twin brothers, Cameron Pullan, director, and Chaffin Pullan, assistant director. The Pullans worked at Spring Creek with Michele "Mickey'' Manning, who was principal there. She went on to work at three other programs before establishing her own, called Reflections. Since October, three separate lawsuits have been filed against Reflections, two of which allege that Manning steered girls toward a "transitional" program run by Chaffin Pullan, who allegedly had inappropriate physical contact with the girls. Manning, at a recent PAARP meeting, said she is seeking to open two new locations for Reflections. Lucy Tompkins contributed to this story. Tomorrow: Will Montana tighten regulations?